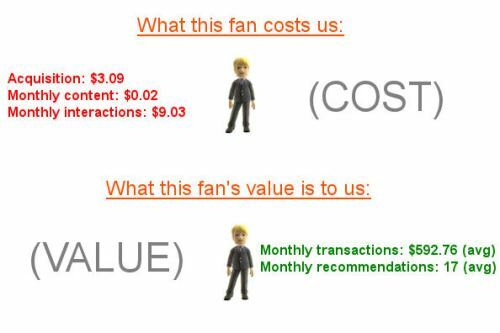 You can see how the notion that the “value” of a Facebook fan can be calculated absent the context of purchasing habits, brand affiliations, fluctuations in buying power, market forces and shifts in interests and even value perceptions is bunk. Unless of course you find yourself being asked to transform cost into value. (Less work. Easier to sell.) But that is a completely different conversation.